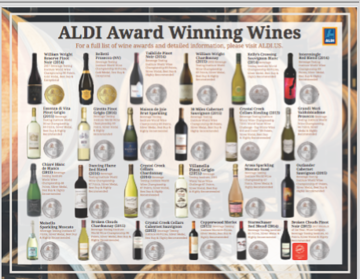 ALDI offers incredible savings on quality wines by partnering with winemakers from the most fertile grape-producing regions around the world. Our award-winning wines are the perfect complement to any meal or gathering. Wine and beer are available at select ALDI locations; availability is listed in our Store Locator tool.